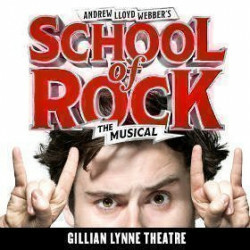 School of Rock, The Musical – Fresh from Broadway. Jack Black gathered loads of critical acclaim for his lead role in the movie, a monster of a hit in 2003. It was quite simply hilarious, a feel-good film that out-grossed every screen comedy to earn vast amounts of money across the world. Now it's on stage in London, adapted masterfully for the stage and setting theatreland on fire for an extremely funny rock-fest you won't forget in a hurry. 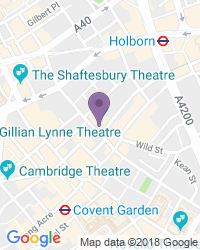 The New London Theatre has been renamed The Gillian Lynne Theatre in 2018. The Gillian Lynne Theatre is housed in a huge, purpose built contemporary building dating back to 1973 with a dramatic glass frontage. Inside it’s simple, plush and comfortable with excellent facilities. Despite being constructed back in 1973, The Gillian Lynne Theatre looks as modern as it did when it first opened its doors. The interior is flexible enough to be able to home unusual and experimental works. But the ground the building sits on has a much longer theatrical history. There has been an entertainment venue at 166 Drury Lane since the 1600s, when a tavern sat on the site. It eventually became The Mogul Saloon, sometimes known as the Turkish Saloon, built in 1847 and frequented by Nell Gwynn in the mid 1800s before changing names again to the Middlesex Music Hall. The venue, which was by all accounts a roaring success, expanded over the years. In 1919 the premises was sold to George Grossmith Junior and Edward Laurillard, who transformed it into The Winter Garden Theatre, incorporating the original Mogul Saloon into the new design as a bar. After a few years of success the building was sold and demolished, after which the site languished for thirteen years. The new building that we see today, designed by Paul Tvrtkovic, was erected in 1973 and opened with Peter Ustinov’s play The Unknown Soldier and His Wife. Used as a TV studio in the late 1970s, the Gillian Lynne Theatre’s luck changed dramatically when it became home to Sir Andrew Lloyd Webber’s musical Cats, which ran for an amazing twenty one years until 2002. When Cats ended its monster run the owners took the opportunity to give the premises a facelift. It re-opened in 2003 with a revival of Joseph, The Blue Man Group and various popular Royal Shakespeare Company productions. As well as musicals and plays the Gillian Lynne Theatre also puts on celebrity-starred awards events including the BBC Sports Personality of the Year, the prestigious Masters Snooker tournament and the UK’s Eurovision Song Contest qualifying competitions. These days the Gillian Lynne Theatre is owned by Sir Andrew Lloyd Webber’s Really Useful Theatre group. In the early days of the Winter Garden Theatre, The Vagabond King was produced in 1927 and Fred Astaire played in Funny Face during 1929. Gracie Fields appeared here in Walk This Way in 1923. In 1933, Lewis Casson starred in George Bernard Shaw's On the Rocks. More recently, in its current incarnation, the Gillian Lynne Theatre has staged Grease, starring Richard Gere, the Andrew Lloyd Webber and Trevor Nunn musical Cats, Joseph and the Amazing Technicolor Dreamcoat, the smash hit off-Broadway production, Blue Man Group, the Royal Shakespeare Company's The Seagull and King Lear, a musical version of Gone With The Wind and more. There’s a special lift and help available from the theatre’s friendly staff, plus disabled parking and an infra-red system with headsets. We’re a popular destination for a wide variety of seat types and prices, with excellent availability on the full range of Gillian Lynne Theatre tickets.